Their freedom was short-lived yesterday. The scene was Kuje Prisons and the actors were operatives of the Economic and Financial Crimes Commission and the Chairman, Senate Committee on Power, Nicholas Ugbane, his counterpart in the House of Representatives, Ndudi Elumelu; Permanent Secretary in the Ministry of Power, Dr. Abdulahi Aliyu and seven others. Inside Kuje Prisons, officials took time to scrutinise a letter by an Abuja High Court that the lawmakers and the other detained persons be released from the prisons. Outside the premises, the operatives kept vigil and as soon as they walked into liberty, the operatives swooped on them and re-arrested Ugbane and his co-travellers. The other accused persons are the Managing Director of Rural Electrification Agency, Samuel Gekpe; Simon Nanle, Lawrence Orekoya, Abdulsamad Jahun, Kayode Oyedeji, Igwe Paulinus and Jibo Mohammed. They are on trial for allegedly defrauding the Federal Government of N5.2 billion earmarked for rural electricity projects. Although the accused persons were granted bail on June 1, 2009, they had remained in prison custody owing to the bail conditions imposed on them by Justice Adebukola Bamjoko. She had ordered them to produce two sureties each, who should deposit their international passports with the court's registry. Hope brightened for the accused persons on Wednesday when their lawyers were handed a document signed by Bamjoko authorising the prison chief to release them. Upon confirming the veracity of the document, the accused persons were released by the prison authorities. And as they walked into the waiting arms of their family members and well-wishers, the EFCC operatives struck and took them away in their operational vans. Crest-fallen family members could not conceal their disappointment and as they bemoaned the fate that had befallen their kinsmen. Indications that the accused persons could be re-arrested upon release from prisons emerged on Tuesday when EFCC filed a fresh 158-count charge against them before a Federal High Court, Abuja Division, as against the initial 157-count charge earlier preferred against them for which they were granted bail and released yesterday from prison. The only difference in the charges was the extra count. Under the Criminal Procedure Code (CPC), each of the 158-count on the sheet will be read to the accused persons and their plea taken; a situation that may necessitate their bringing forth fresh bail requests. Counsel to Elumelu, Lateef Fagbemi (SAN), told The Guardian that Justice Gabriel Kolawole had been assigned to try his client and others on the new charge before the Federal High Court, Abuja, but faulted the decision of the EFCC to re-arrest them. "After admitting the accused persons to bail, EFCC decided to file fresh charges at the Federal High Court on the same facts and offences for which a court of co-ordinate jurisdiction had admitted them to bail. The plot was all in a bid to frustrate persons who are deemed by the constitution to be innocent until proven guilty," he stated. 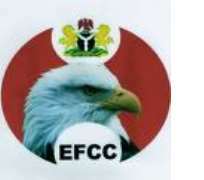 Sources in the EFCC yesterday hinted of the likelihood of the accused persons being arraigned today before Justice Kolawole.